Marvel has killed off The Hulk's human alter ego Bruce Banner in its latest comic. Banner has been the Hulk's alter ego since the character's creation in 1962. However, for the last year, readers have seen Banner medicating himself to keep his anger management issues under control. During that time, a Korean-American teenage genius named Amadeus Cho has taken over as the new human alter-ego of The Hulk. "This is uncharted territory for us," Marvel's editor in chief Axel Alonso told the New York Daily News. "Only two things are for certain: It will take a long, long time for our heroes to come to terms with his loss, and the circumstance surrounding his death will leave a huge scar on the superhero community." 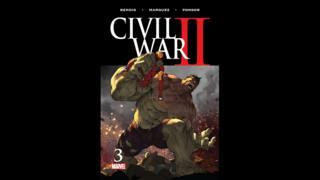 In the latest edition of Civil War II, Hawkeye is seen killing his friend on the belief Banner is about to turn into the Hulk and unleash massive death and destruction. Banner had recently asked him for a mercy killing in the event of any disaster. His death comes a week after Marvel announced Riri Williams, a 15-year-old African-American girl, will become the new Iron Man. Marvel has previously brought back characters after their apparent death - including Captain America and Spider-Man, who returned within a year of their demise. It is not yet clear whether Banner could return in a similar way, but Marvel indicated there were no plans for a return.